4pm to 6:30pm Daily - Voted Monterey County's BEST Happy Hour! 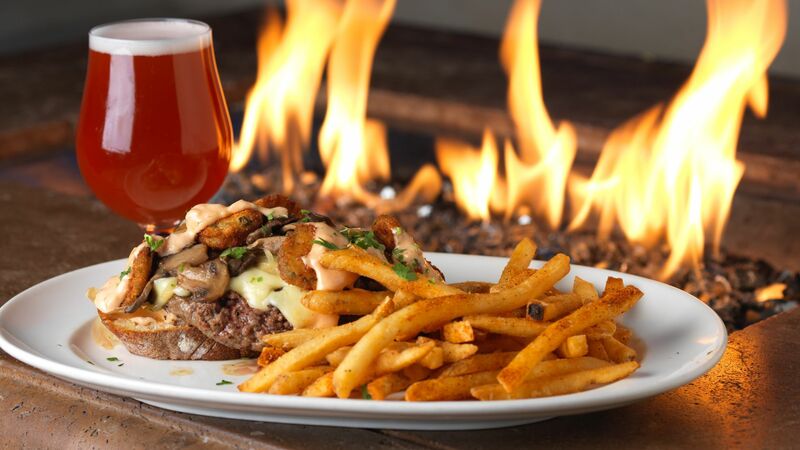 Experience a seasonal and locally sourced menu paired with craft beer at the original craft brewery in Monterey. 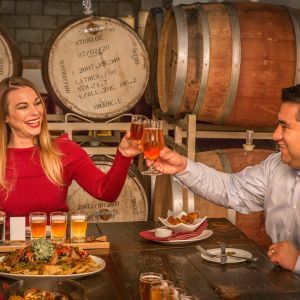 Distinguished for its variety of award-winning locally-brewed beer, 18 high-definition televisions and pub menu stocked with innovative, comfort foods, Peter B’s Brewpub is a local and guest favorite among bars in Monterey, CA. Whether you’re looking to relax around a fire pit on our pet-friendly patio or watch the big game while visiting California’s Central Coast, there is no better destination. 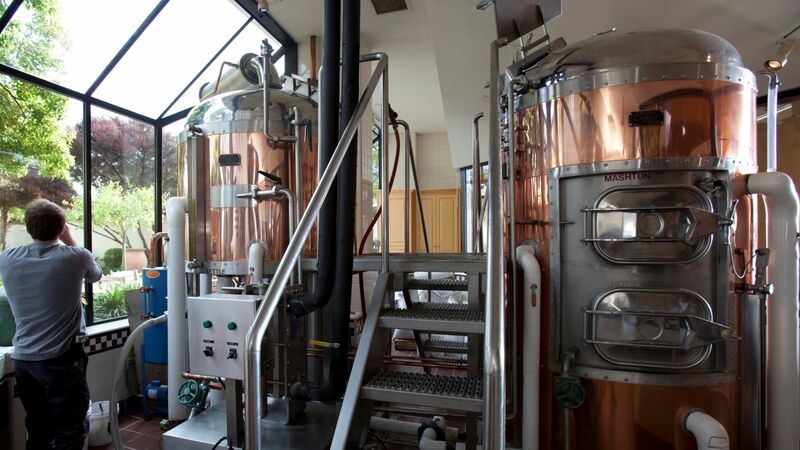 Our Monterey craft brewery has been serving ale-loving locals and visitors craft beer, brewed on-site since 1996. 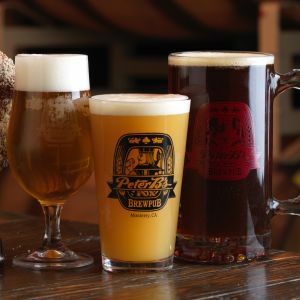 In addition to a relaxed atmosphere, flavorful food, and extensive beer menu, Peter B’s has succeeded in becoming renowned as one of the best brewpubs in Monterey, CA for our dedicated team and commitment to excellent service. 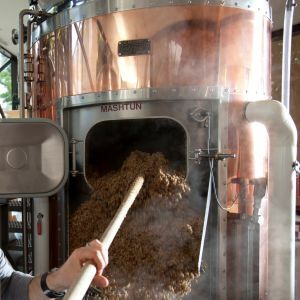 See what's brewing at Peter B's Brewpub! The Mug Club Membership at our standout among breweries in Monterey, CA includes a personal 25 oz. Beer Mug, hung inside of Peter B’s Brewpub and readily available for use upon arrival. Receive discounts off regularly priced 25oz. beers, as well as exclusive offers and discounts on keg rentals, merchandise and more. 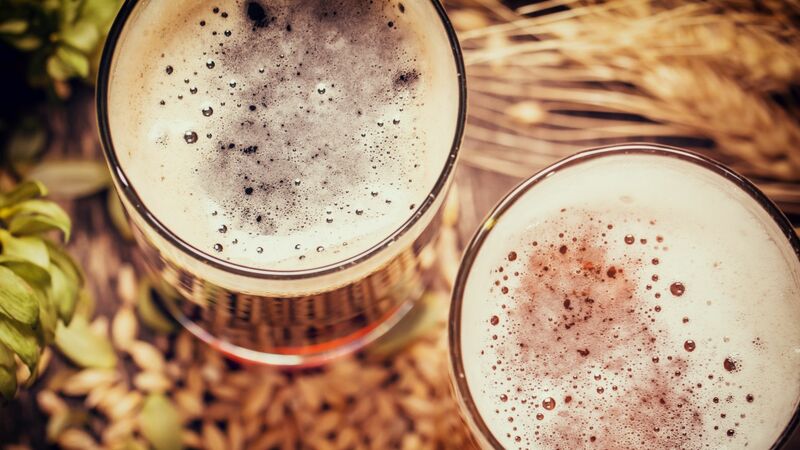 Join a great community of home brewers, beer connoisseurs, and beer enthusiasts alike! To sign up for the Mug Club visit the Brewpub during hours of operation or email us at peterbsbrewpub@portolahotel.com to start the application process. Active membership begins upon receipt of payment. Terms and conditions apply. Must be 21 years or older. No substitutions are permitted. Not valid with any discounts (i.e. Hospitality, Employee, Senior). Management reserves the right to make changes at any time. Memberships are non-transferable and cannot be redeemed for cash. Peter B’s Brewpub reserves the right to make changes at any time. Peter B’s is proud to offer 20% off food in the brewpub when you show your same day movie or show ticket for Golden State Theater or Osio Theater! To reserve a table, call us today at (831) 649-2699. Offer excludes happy hour, takeout, holidays and special events at Peter B’s Brewpub.